During the first IHO Assembly taking place from 24 to 28 April 2017 in Monaco, the represented Member States will elect the new Secretary-General and Directors. The nominees present themselves by answering the same 5 questions. This multi-interview, is available at www.hydro-international.com/iho-2017. Rear Admiral Patricio Carrasco (Chile), nominated for Secretary-General and Director, answers 5 questions. Today with the changes to the Convention, any United Nation Member State that is not an IHO member can become a member in a much less bureaucratic and faster way than in the past. This has to be promoted particularly to those countries that are not IHO members, highlighting that developing and keeping hydrographic capabilities is a strong contribution to their national development. Almost all activities performed over, on and under the oceans have a strong social and economic impact. Making National Authorities understand this message and helping them realize the impact will be a priority, of course with the example and cooperation of all IHO actual Members States. The Capacity Building Sub Committee and the IHO Capacity Building Fund, that started in 2002 and 2003, respectively, have both initially had a very slow but strong development, aiming to fill strategic gaps with different mechanisms of great value to the IHO. The IHO Capacity Building Fund is an equation that involves potential donors and recipients with the IHO, and particularly the Capacity Building Sub Committee acting as a bridge between both, to support and facilitate this action. A special priority, to help identifying opportunities and needs in order to become a link and facilitator of this process will be something that will be permanently present in every possible occasion, in order to ensure the best use of the resources available and the strong and responsible commitment of those that really request that specific training. It is very important that the objective of each MOU is reached. Key issue is to put MOU’s objectives in action for the benefit of signing organisations. Nowadays, communication technologies facilitate the frequent contact and therefore the IHO coordination with other organisations. Also face to face contact is ideal, but not always possible. Nevertheless, a permanent follow-up of the relationship between IHO and the other relevant organisations must exist permanently. If occasionally the Secretariat cannot attend regular meetings, IHO representatives of each country can be invited to represent it. The IHO has already established mechanisms to facilitate the participation and contribution of the private industry to the IHO´s mission and objectives. There is always room for improving such relationships and also to speed up processes, keeping a permanent, transparent, responsible and loyal relationship, observing the best conduct codes, allowing a professional and confident interaction. Both, IHO and the private industry should feel proud and honoured by this joint work, each in its own field of competence, avoiding any misunderstandings between them, in order to fulfil the user requirements and expectations. Hydrographic data are managed, by the IHO, in a Marine Spatial Data Infrastructure. How do you see their use by he general public beyond their use for ENCs? The access and use of Marine Spatial Data constitutes a sensible topic. 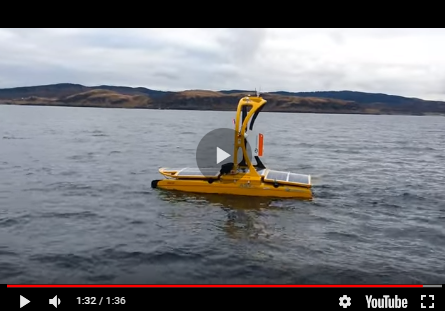 Collecting Hydrographic Data has a significant cost that can be compensated by its wider use, facilitating the access and use of validated / standardised information. The main contribution of the IHO shall be the standardisation for the collection, compilation, processing, analysis and validation of the Hydrographic Data. Once all these steps are followed and achieved with high priority, IHO Member States would be in a condition to establish the best way to increase the wider use of its Hydrographic Data. Patricio J. Carrasco graduated as Navy Officer in 1982 and as Hydrographic Engineer in 1992, and has served in different technical positions at the Chilean Hydrographic and Oceanographic Service; as head of several departments, deputy director and later director and president of the National Oceanographic Committee, among others, since 2010, including several field surveys along the country and the Antarctica and also participating and representing the country in different Hydrographic and Oceanographic national and international meetings.